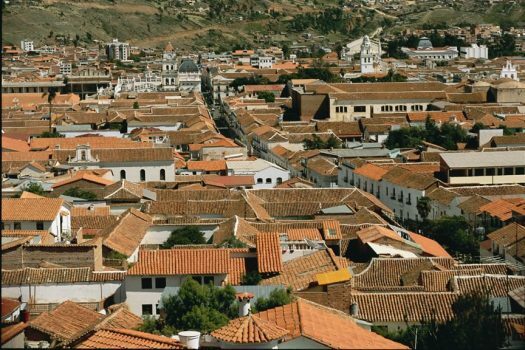 The colonial towns of Sucre and Potosi are two of the most historically significant cities in Bolivia and all of South America. 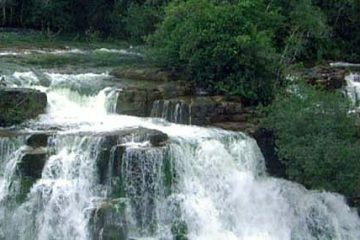 The legacy of these two towns has been linked since colonial times, and, as such, they are often visited together. Sucre is undoubtedly Bolivia’s most beautiful city – in fact one of the finest in South America. Sucre’s history and importance has always been closely linked to that of neabry Potosí. 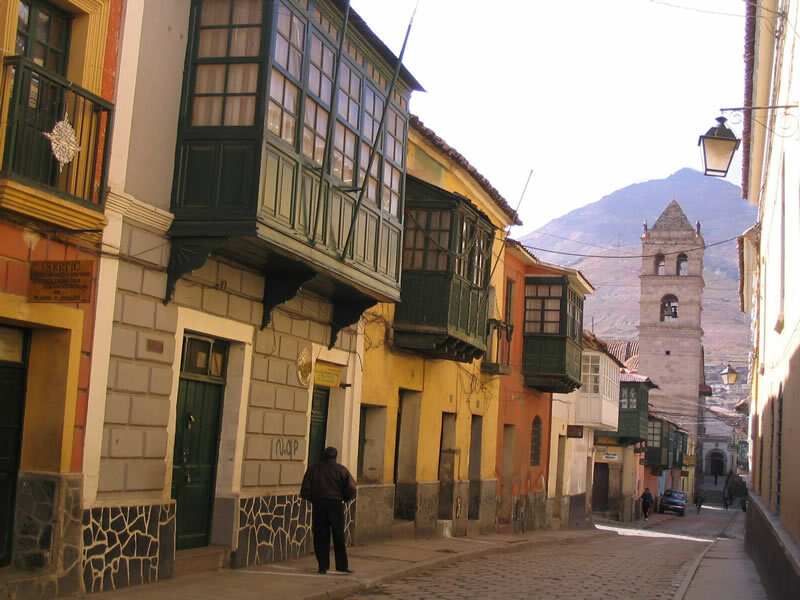 During the colonial era, Spanish royalty and wealthy families involved with the silver mining in Potosí preferred living in Sucre and built their estates and houses there, seeking refuge from the high altitudes and cold temperatures. Potosi was found to be rich in silver deposits, and supported the Spanish empire. Today you can visit the Royal Mint and even delve into a working mine. Nestled in the southern Bolivian Andes, Sucre and Potosi are beautiful Spanish colonial cities which can easily be visited together and combined with a trip to the Salar de Uyuni salt flats. Potosí’s main highlights can be visited in a day – it is possible to travel from Sucre to Uyuni in a day by road, via Potosi. 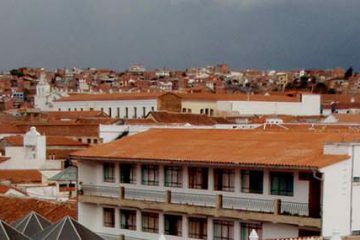 Sucre, on the other hand, is Bolivia’s most beautiful city with many interesting sights in and around the city that merits a longer stay to explore its natural and historical attractions. 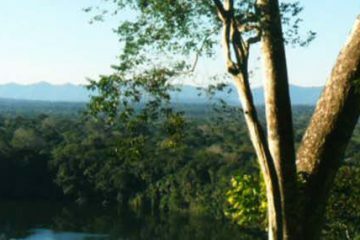 Sucre sits in a valley surrounded by low mountains at an acceptable 2,800 metres (9,186 feet) and enjoys a much more mild and comfortable climate. Today, Sucre shares capital city status with La Paz and is widely considered to be the most beautiful city in Bolivia. 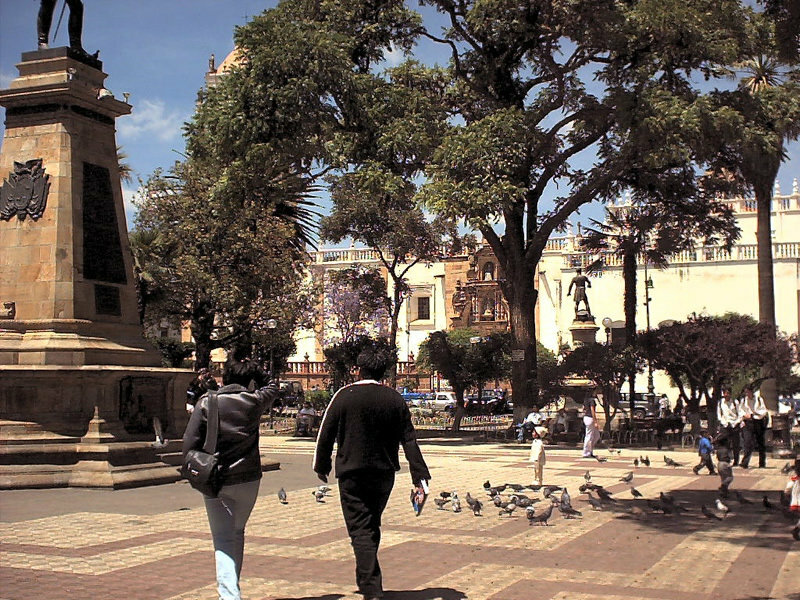 Its gleaming white stucco buildings and preserved colonial architecture, green parks, and streets lined with cafes and restaurants make it a pleasant and historical city . In addition to its aesthetic charm, Sucre has many cultural attractions like the Cathedral, the second oldest university in South America and the highly authentic Tarabuco Market, which make it a delightful town to visit. 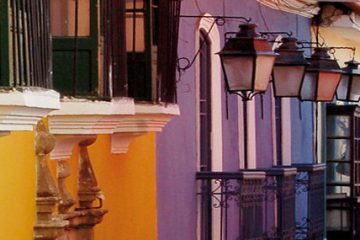 Sucre is a UNESCO World Heritage site and a well-preserved example of the architectural blend between local traditions and styles imported from Europe, home to gleaming white stucco buildings, green parks, and streets lined with cafes and restaurants. 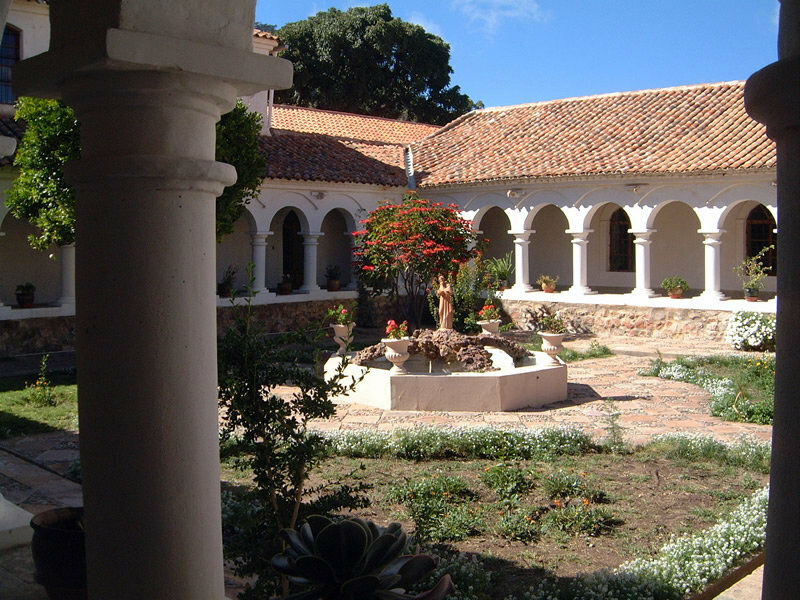 There are a number of museums and places of interest, including the ASUR textile museum, which showcases indigenous art and textiles, The House of Liberty, where the Bolivian declaration of independence was signed, the Convent of San Felipe de Neri, the Museum of La Recoleta, 16th Century churches, Simpon Bolivar Park and the Antrhpological and Modern Art Museum. Despite being staged for tourists, this colourful, high-energy show is a great way to appreciate a snapshot of traditional Bolivian folklore. Musican and dance performances feature traditional costumes from around the country. The show can be combined with dinner here. Located outside of Sucre, 17th century colonial Hacienda Candelaria affords a window into both rural community living, as well as life before the land reforms of the early-1950s in Bolivia. The Hacienda is an attractive rustic adobe-brick building formed around a courtyard, harking back to its days of former grandeur. 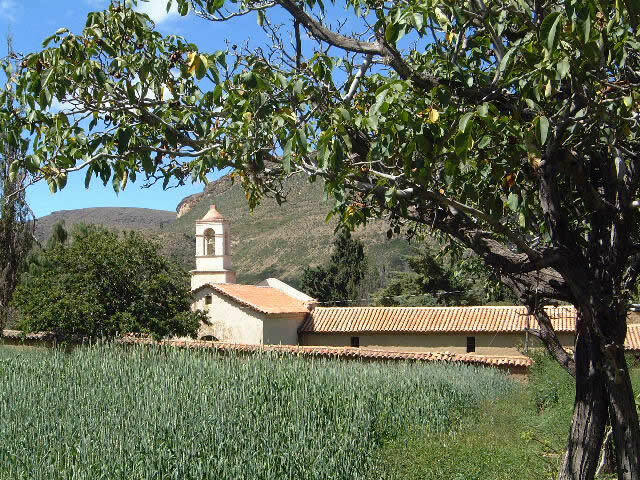 Visit its chapel, storage rooms, orchards and unique native museum home to agricultural tools. You can also participate in a textile workshop, learning to spin and dye the wool and try your hand at the intricate weaving process. This authentic and colorful Indigenous market is the place to be on Sundays. It is easily one of the most famous markets in Bolivia and is well-known for its high quality, locally sourced arts and crafts. Walking through Tarabuco market allows great insight into the local Yampara culture, as the people of the town also meander stall to stall in their traditional dress. Tarabuco Market can be combined with a visit to Hacienda Candelaria for a full-day excursion from Sucre. Sucre is home to one of the largest collections of dinosaur footprints in the world. Over 5,000 footprints are set into the Cal Orck’o cliff, just 5 kilometers (3 miles) away from the city center. They were discovered on the grounds of the local cement company. The footprints have been turned into a major tourist attraction with the creation of a dinosaur-themed park which includes a museum dedicated to the findings. It boasts a collection of life-size dinosaur sculptures, including the enormous tyrannosaurus. Towards the northwest of Sucre lies the Cordillera de los Frailes mountain range, notable for its intense colors thanks to its mineral wealth. This area shelters the small weaving villages of Potolo and Maragua, home to the Jalq’a ethnic group. These Quechua-speaking native communities maintain their traditional culture, which can be seen in the architecture of their houses, agricultural techniques and in particular their exquisite handmade textiles which detail llamas, vicuñas, eagles, frogs and imagery important to them. Visitors to these villages are offered a glimpse into daily life in communities that have changed little over the years. It is possible to combine village visits with gentle treks. 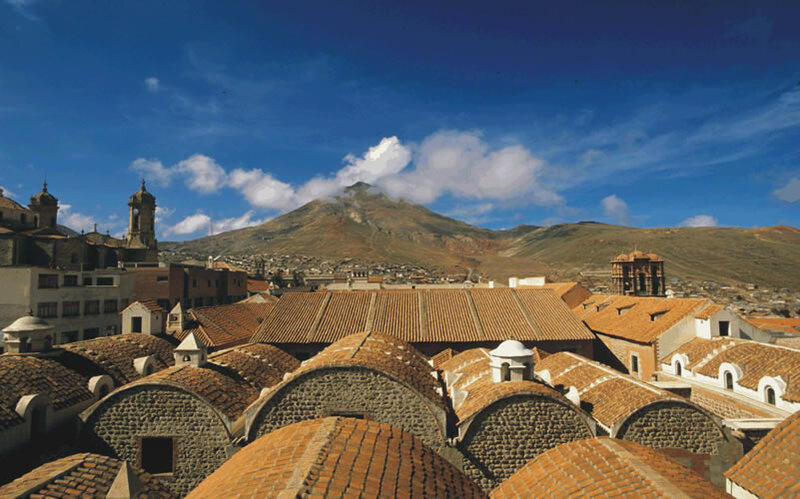 Potosí, sitting at around 4,000 metres ( 13,123 feet), is one of the world’s highest cities. Potosi retains traces of the grandeur and importance of its past. Founded in 1546, Potosí was established after the discovery of what seemed to be an endless supply of silver deposits in the Cerro Rico mine. Consequently, in the 16th century during the times of the Spanish Empire, the city evolved into an important metropolis with a population larger that that of Paris or London. It was even the home of their colonial mint. These mines are possibly the richest in all of history, said to have produced over 60,000 tons of silver, according to legend — enough to build a bridge from Potosí to Madrid. Some of this enormous wealth was utilized in the construction of spectacular baroque churches and monasteries, part of the reason Potosí has been recognized as a UNESCO heritage site since 1987. A stunning and expansive building that occupies and entire block, the National Mint is Potosí’s star attraction and one of South America’s best museums. 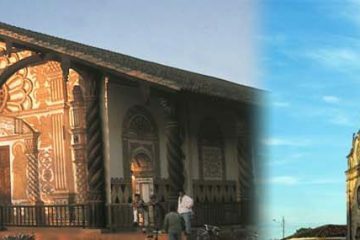 It was built in the mid-18th century to control the minting of colonial coins. These coins, which bore the mint mark “P,” were known as potosís. The last coins were minted here in the 1950s. 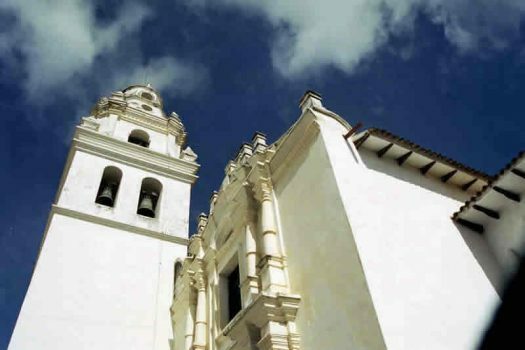 Founded in 1685, the Convent of Santa Teresa is the most interesting of Potosí’s many convents and churches. In the 17th century, wealthy families paid a sizable dowry to send their teenage girls to the convent. Beside its aesthetic beauty, it is a great representation of religious life during colonial times. The convent is still home to a small community of Carmelite nuns. There are still many cooperative mines in operation in Potosi. You can delve down a mine to learn about their historical importance, the extraction process and to have a look into the reality of the very hard life of a miner. 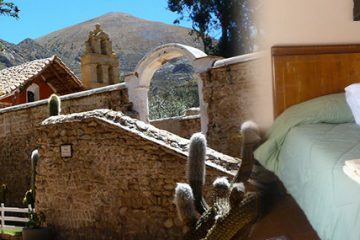 Located on the outskirts of Cayara, this museum-meets-hotel is the best place to stay in Potosi. Built in 1557, Hacienda de Cayara is a treasure trove of antique books, paintings, colonial, and republican armor. 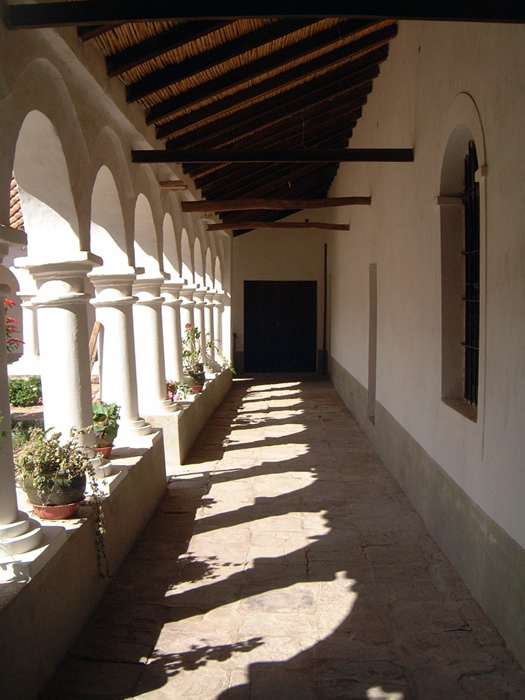 Hacienda de Cayara is one of the few surviving haciendas from the colonial era, when Spaniards controlled the region and farms were developed to sustain workers in large-scale mining operations around Potosí. The most common way to visit Sucre and/or Potosi is in combination with a trip to the Salar de Uyuni. 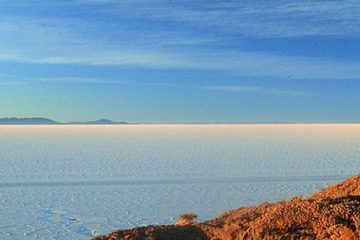 There are direct flights between Sucre and Uyuni and Sucre and La Paz. 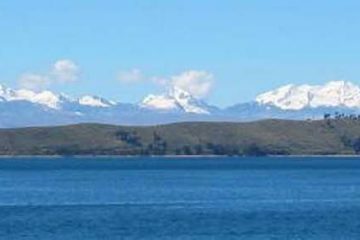 Alternatively it is possible to travel from Sucre to Uyuni by road in a day, with time to stop in Potosi en route to take in Potosi’s main attractions. Driving from Sucre to Potosi takes around three hours. From Potosi to Uyuni takes approximately 4 hours by road. Sucre merits more than a night’s stay, with plenty to see in the city and its surrounds. The best hotel in Sucre is Parador Santa Maria Real. A restored colonial house, it has been adapted into a comfortable hotel just a block from the city’s main plaza. 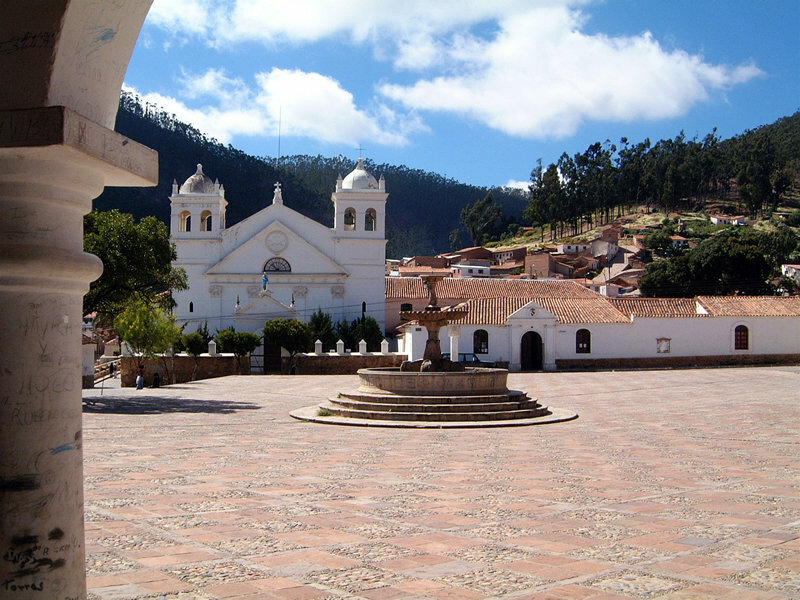 It is possible to visit Potosi without staying overnight – en route to Uyuni. 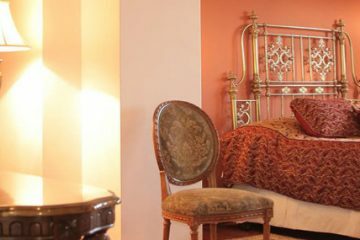 If you do stay, Hotel Museo Cayara is the most charming option, located outside the city center.